For a textile company, a part used to guide threads requires high resistance to abrasion. Manufacture using two different production processes (laser cutting, etc.). For a leading company in its field, a part in copper alloy is used as a shield for a specific connector. 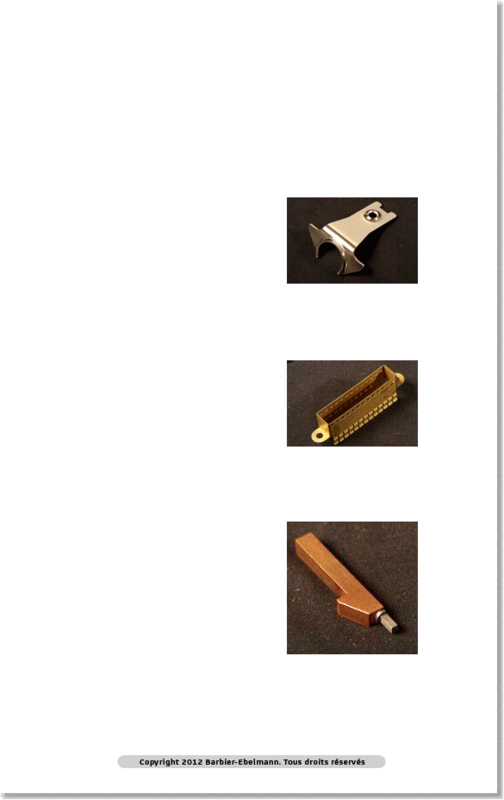 The part is obtained by laser micro-cutting then forming and assembly by electrical welding. For a company in the automotive industry, a copper and tungsten electrode is obtained by machining copper and its tungsten preform with brazing, followed by wire spark machining and surface grinding.